Whether your a garden centre, landscape gardener, roofing contractor, decking installer, local authority contractor or any company/agent that sells or has a use for Artificial Grass on a regular basis we can offer you a volume discount. 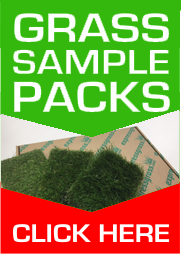 Our discounted rates depend on the amount artificial grass rolls you sell. The ability to store & handle roll stock. For more information call us on 0844 879 7266 or email us and tell us plans and ideas for selling our ranges.